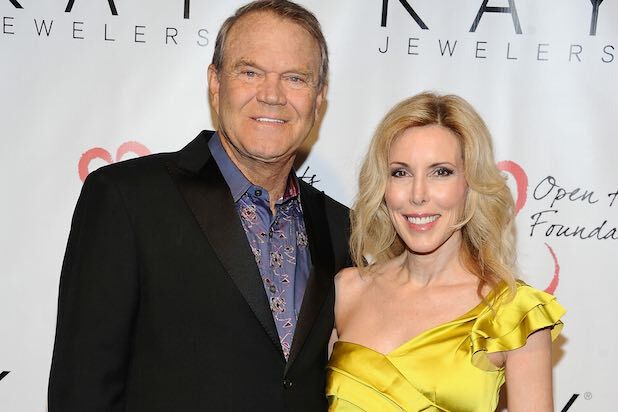 Two of Glen Campbell‘s children are fighting his wife, Kim Campbell, for control of the country singer’s medical care at an Alzheimer’s treatment facility in Tennessee. Glen Campbell, who was nominated for a Best Original Song Oscar this year for writing “I’m Not Gonna Miss You,” has eight children. He shares his three youngest with Kim, all of whom were prominently featured in “Glen Campbell: I’ll Be Me,” a documentary following the family on Glen’s farewell tour, even as he struggled with the devastating effects of Alzheimer’s. Campbell-Cloyd was also featured in the film, since she tagged along on the tour as a back-up singer. Kim would not comment on the matter when reached by the AP, while TheWrap could not access the documents because the judge has sealed the petition. The AP, however, reports to have read the court filing, and wrote that it claims Kim is not providing her 78-year-old husband with needed toiletries and clothing, not visiting him regularly and possibly mishandling his finances. The petition also complains that Kim has allowed Glen to be interviewed and filmed at the facility, even though his disease has progressed to a point that the plaintiffs believe is inappropriate to publicly display.